Yes – I know. There are more writing books out there than you can shake a stick at! But this isn’t just any old how-to book. 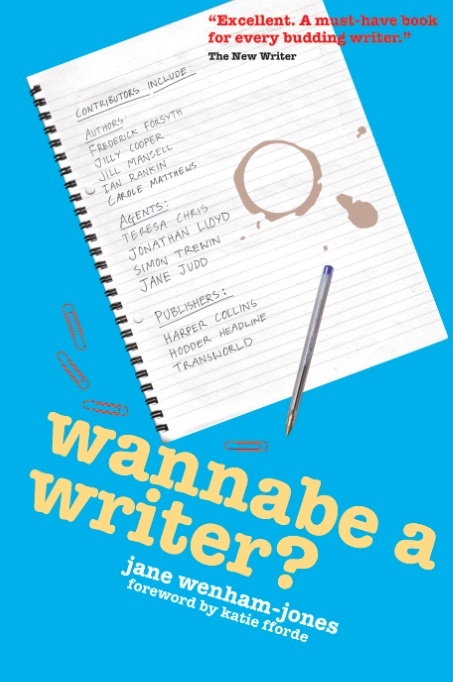 Wannabe a Writer? has over 100 great contributors including Frederick Forsyth and Jilly Cooper, a heap of hacks from national newspapers and Amanda Ross, the producer of Richard & Judy. This is the first-ever tome to deal with the knotty problem of Writers’ Bottom (read the rave reviews from grateful readers on Amazon), offer tips on drying out a keyboard after spilling your red wine into it and to give an overview on the offside rule. Practical, personal and honest advice on how to get published with contributions from over a hundred authors, agents, publishers and journalists. Hear from the professionals on how to sell your articles, write a synopsis, find an agent, get your novel accepted and much, much more. With insights, anecdotes and hot tips from Frederick Forsyth, Jilly Cooper, Ian Rankin, Katie Fforde, Jill Mansell, Adele Parks, Lesley Pearse, Michael Buerk, Carole Matthews, Erica James, Mil Millington, Miles Kington, Michael Bywater, Rosie Millard, Robert Crampton, Richard Morrison, Simon Trewin, Jonathan Lloyd, Teresa Chris and Jane Judd as well as publishers Harper Collins, Hodder Headline, Transworld, Orion and Simon & Schuster.